Large poster sites are usually fairly mundane places. They catch our eye, their messages somehow sinking into our subconscious and we move on to be guided in our buying habits by a poster we hardly even remember seeing. 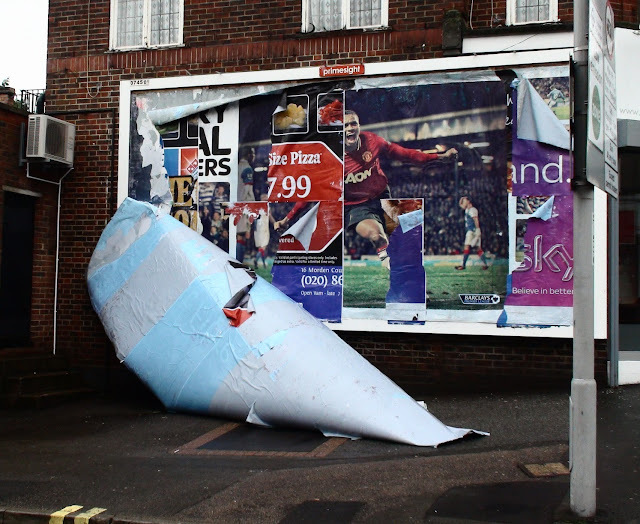 However the posters on the corner of Caldbeck Avenue and Central Road today became a little more animated as they fell to the ground, making a bit more of an impact with their surroundings. The thick wad of posters had obviously become so waterlogged with the deluges over the last day or so that the glue on the one at the back couldn’t hold the weight any more and the whole lot came down. Local resident and contractor Keith Ford was called out by Primesite who own the site to fix the problem ASAP and got to work immediately pulling down, tearing up and removing the offending paper mache carpet. 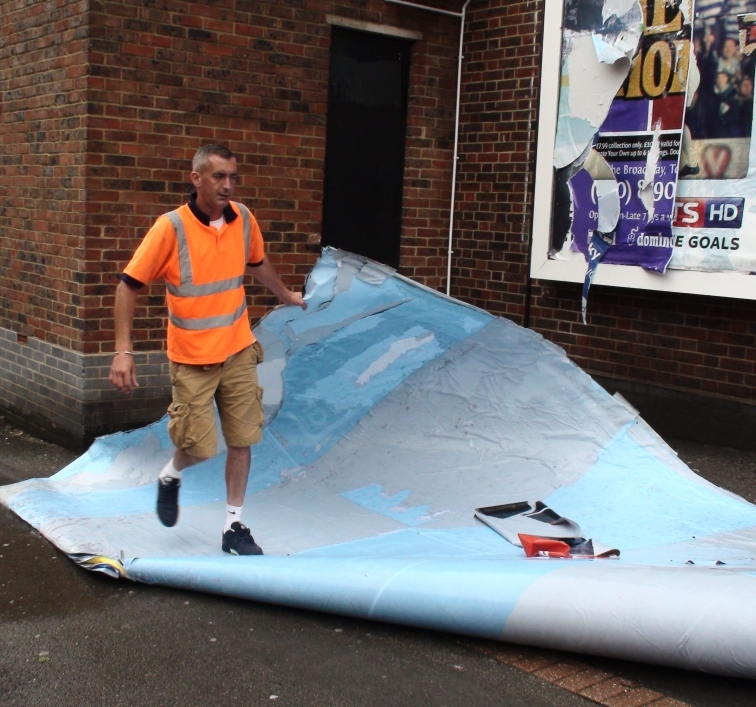 According to Keith the posters are put up over the top of each other but there should not be any more than six thick before they should be removed for the new poster to go on the blank hoarding.